Filed under “Don’t Try This at Home” or “Not to be Taken Lightly”, most EDA engineering teams don’t even consider building their own language front end. Most of you will know the name Verific and some probably have used their language parsers a time or two (or twenty), but many of you may not know that Verific also has a robust and comprehensive startup program. 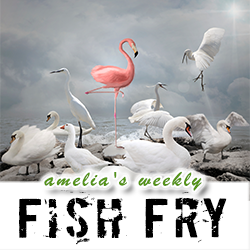 In this week’s Fish Fry, Rick Carlson and I chat about how your startup can stand out from the crowd with a little help from Verific. Rick also shares with us some Verific-assisted startup success stories and explains why the giraffe is Verific’s signature giveaway.